Speke Resort Munyonyo has for long been known for hosting some of the most unforgettable events yearly. This year has come dripping fun and merry at this luxurious resort but brace yourselves for more that is packaged for us all. The annual Johnnie Walker Soul – R&B Safari is back in the 11th edition. 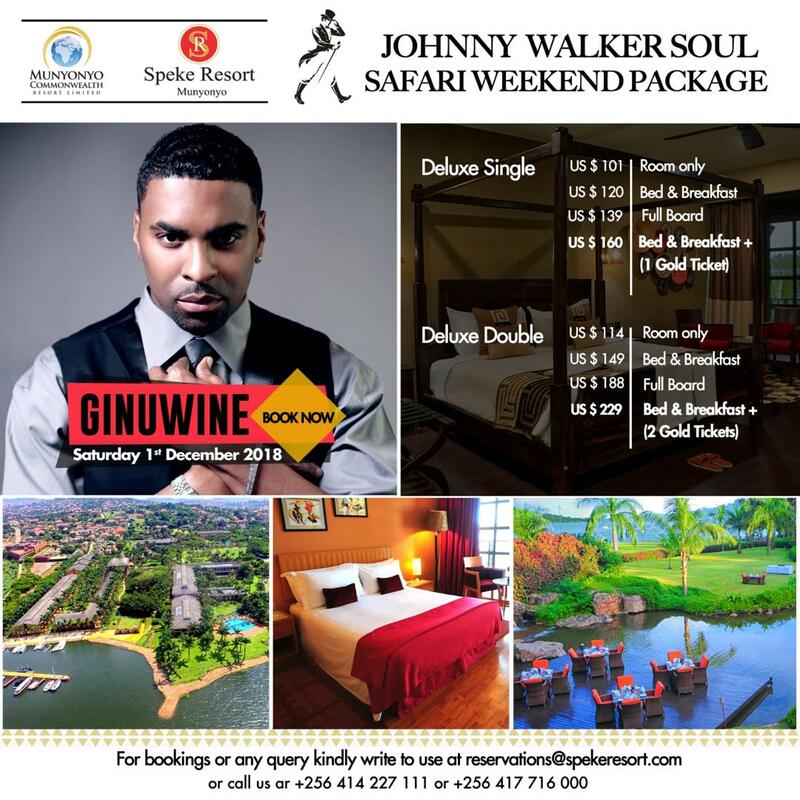 Elgin Baylor better known by his stage name Ginuwine is set to headline the acts on the night of 1st December in what is a jazz and safari event. If you are a fun of music that speaks to your heart, mind, body and soul, this is an evening of merry making that you should not miss for anything. In case you are wondering who Ginuwine is, you must remember him from his famous songs like Differences, Pony, in those jeans ET AL. 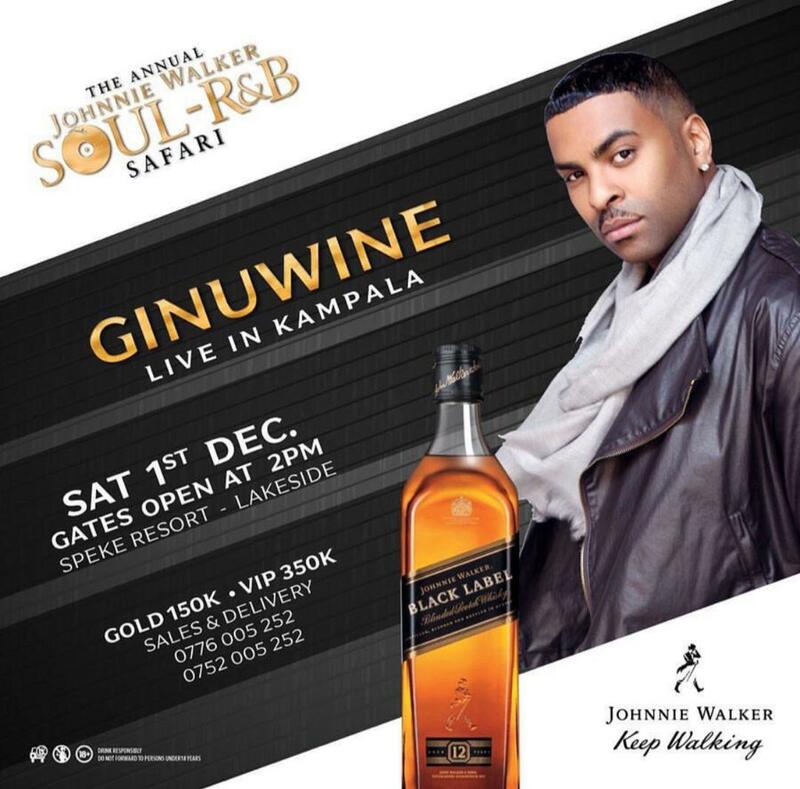 The Johnnie Walker Soul – R&B Safari that will be held in the special ambiance of Munyonyo will take place on 1st December with gates opening at 2pm. There shall be performances from Meddy, Aziz Azion, Maurice kirya, Naava Grey among many others to serenade the public. Take advantage of this special event and enjoy the magnificence of the resort at extremely friendly prices. There shall be a special offer from the resort that day.